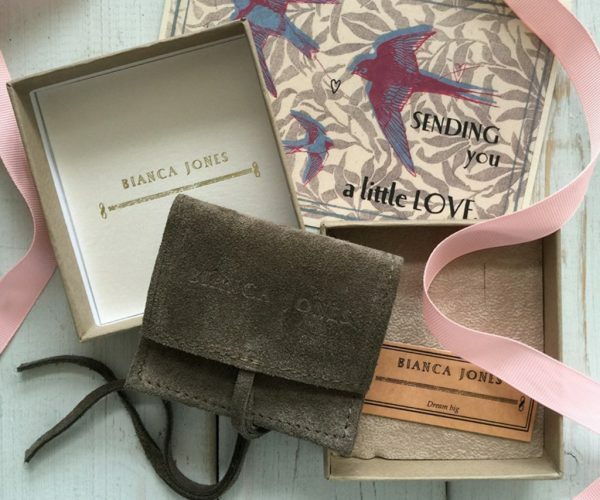 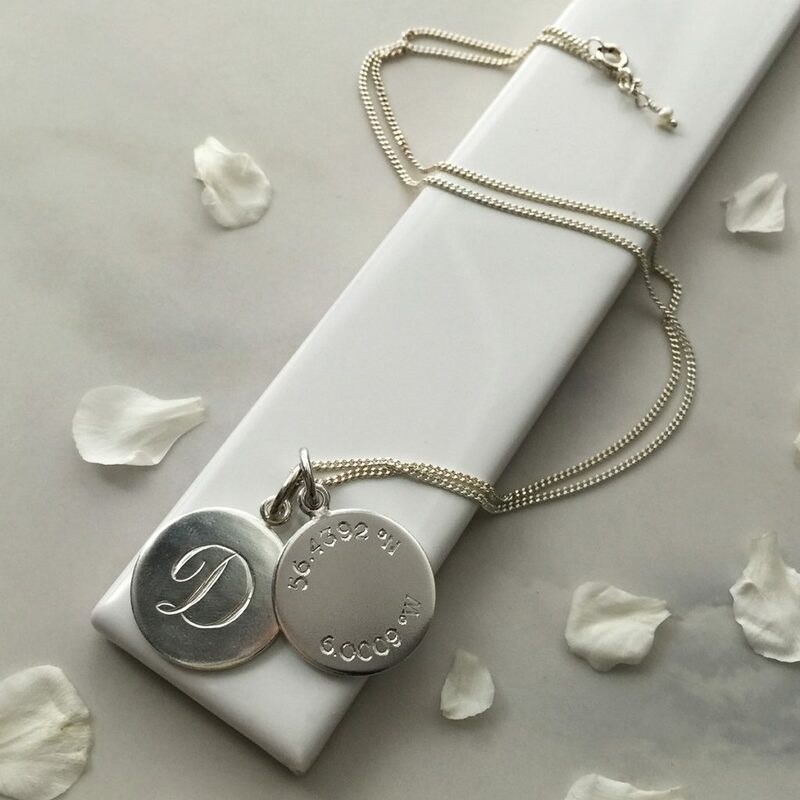 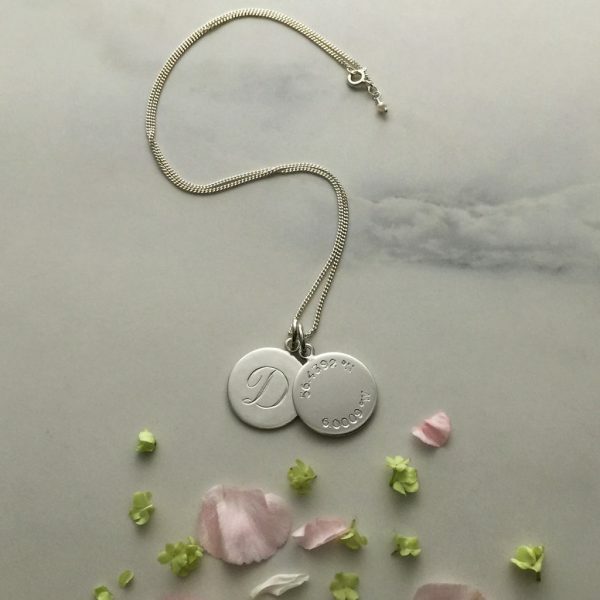 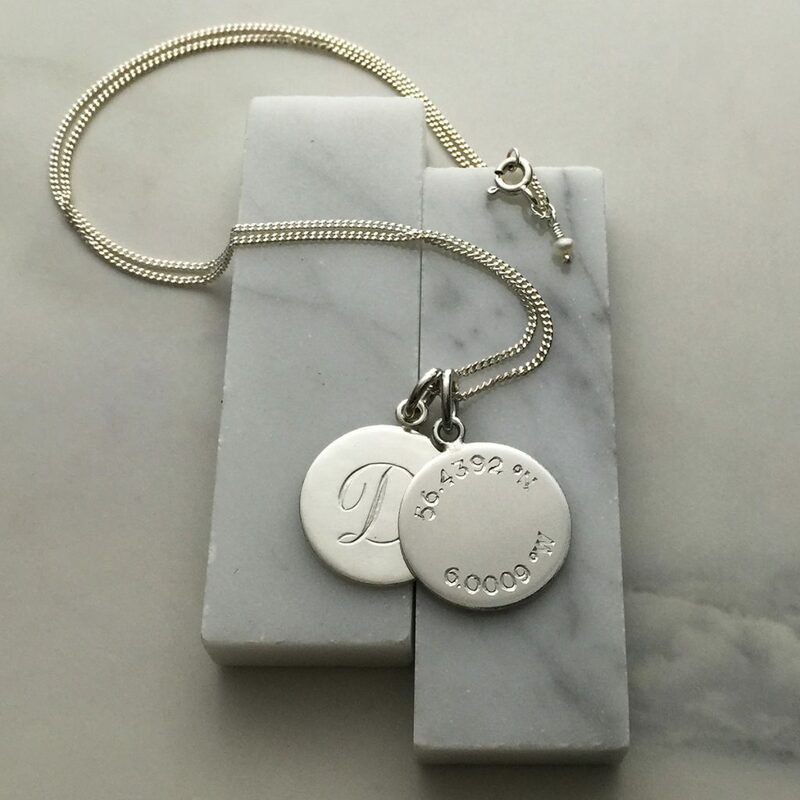 Double up with the initial of your loved one and coordinates of a special place. Our Double Disc Latitude and Initial Necklace is inspired by traditional Victorian love tokens. 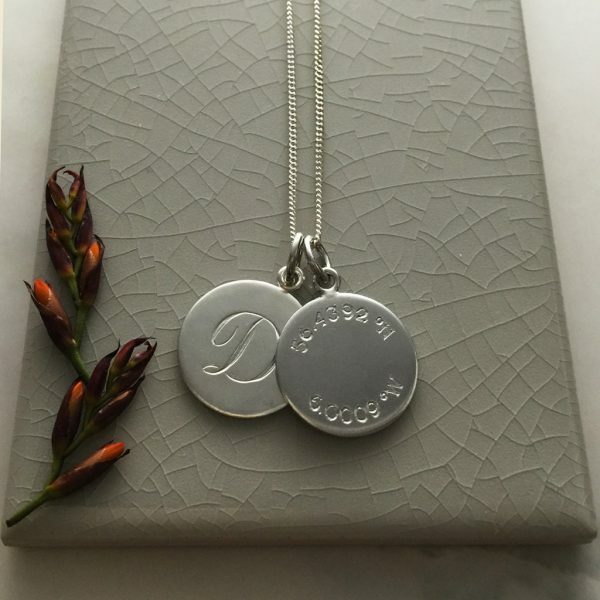 One disc is hand engraved with a scrolled initial, the second disc is hand engraved with latitude and longitude coordinates to carry a memory of a special place with you always. 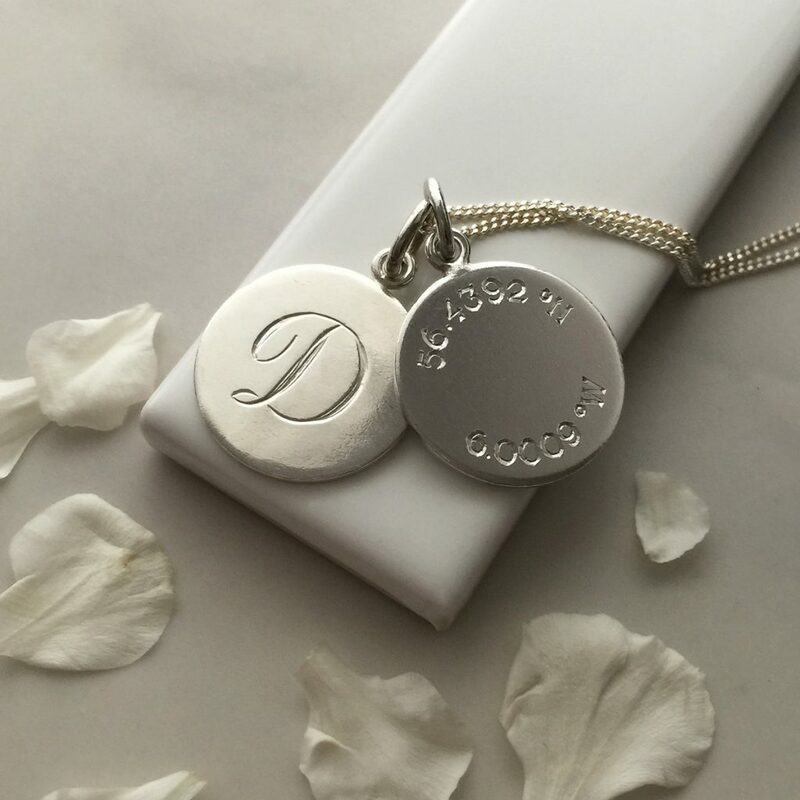 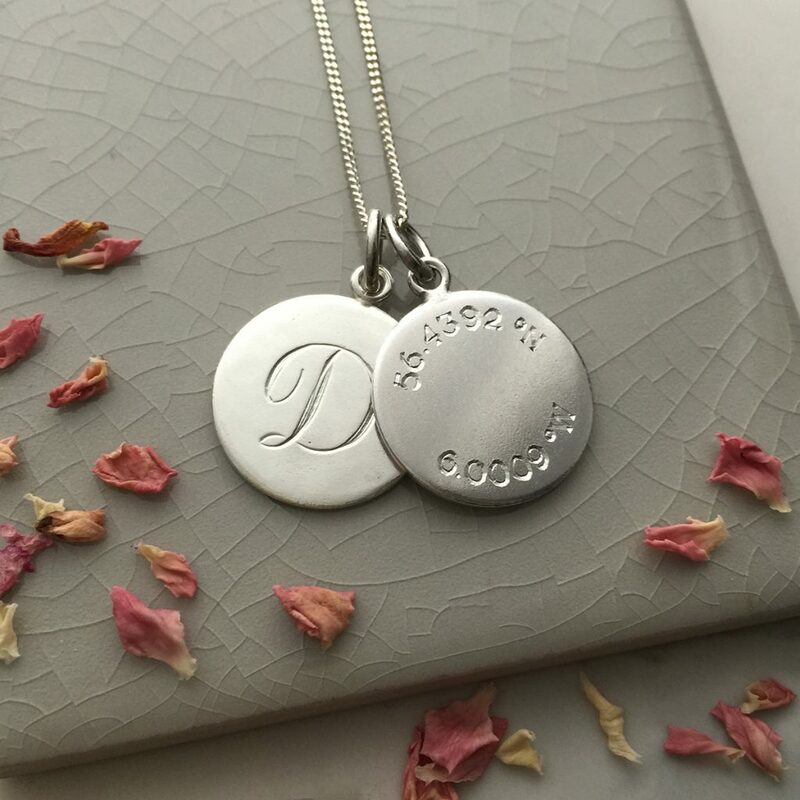 Choose an initial to be hand engraved on one of the discs so that the wearer can carry the memento around their neck always. 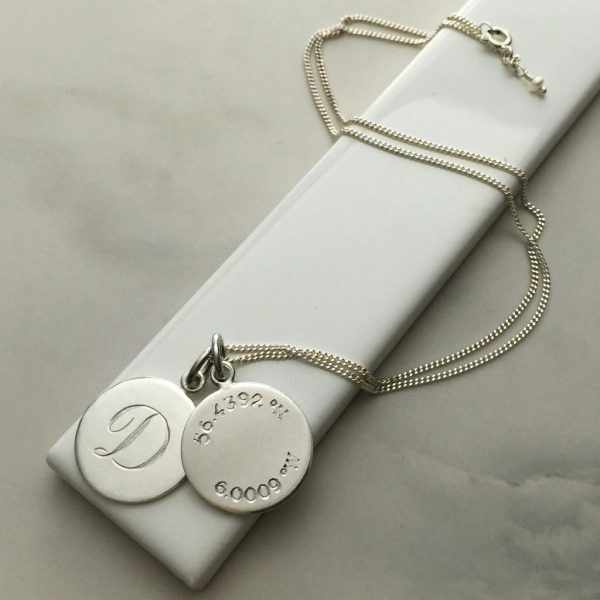 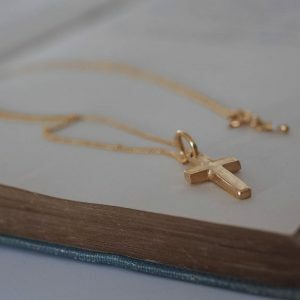 The letter could be the recipient’s initial, their childs’, best friend, someone who bears great importance in their life so they can be reminded of them as they wear and treasure the Double Disc Latitude and Initial Necklace. 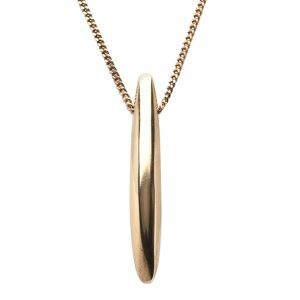 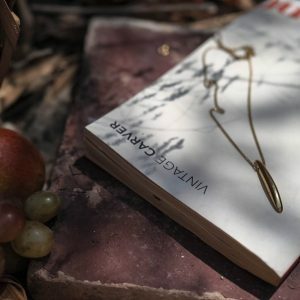 The Latitude and Longitude coordinate disc is inspired by the time of ancient Greeks when explorers travelled by starlight – the lost art of celestial navigation – where the sun and eclipses of Jupiter’s moons revealed the secret of their exact location. 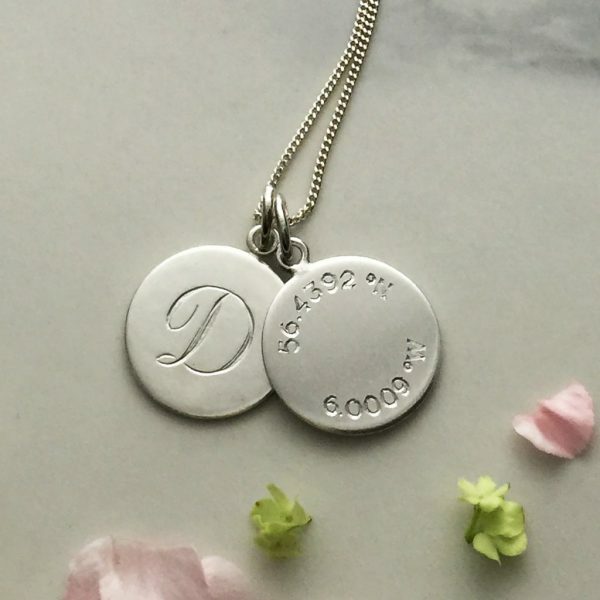 Knowing that the coordinates of your chosen location is determined by the starry night sky makes the personalised necklace all the more meaningful. Double Disc Latitude and Initial Necklace, a truly personal gift. Every piece of jewellery is hand-made with care and love in London. 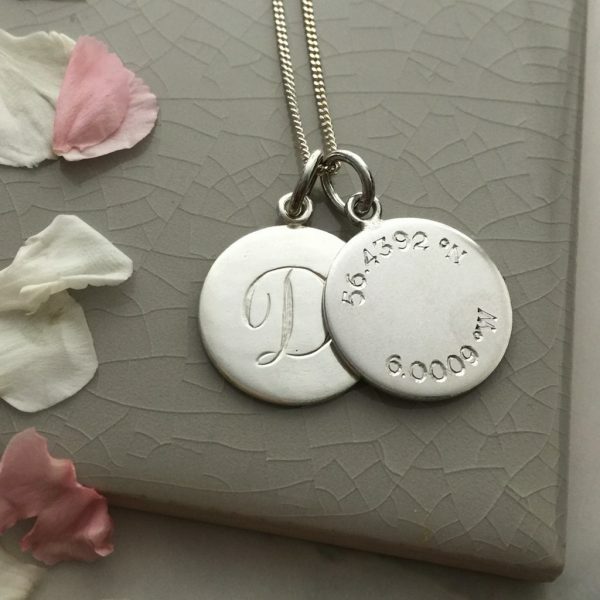 Initial Disc measures approximately 1.8cm by 1.8cm. 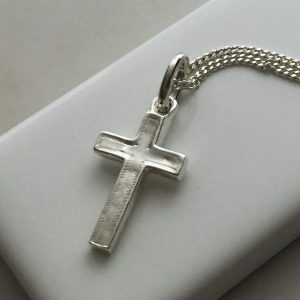 With a depth of 1.3mm. 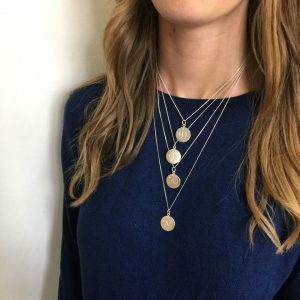 Your Double Disc Latitude and Initial Necklace comes on a curb chain with a pretty hand-tied Freshwater Pearl by clasp. We love gift giving – please view the packaging tab above for more on how we will package your Double Disc Latitude and Initial Necklace.